Seinfeld’s Soup Nazi Could’ve Been an Actual NaziSehr gut? 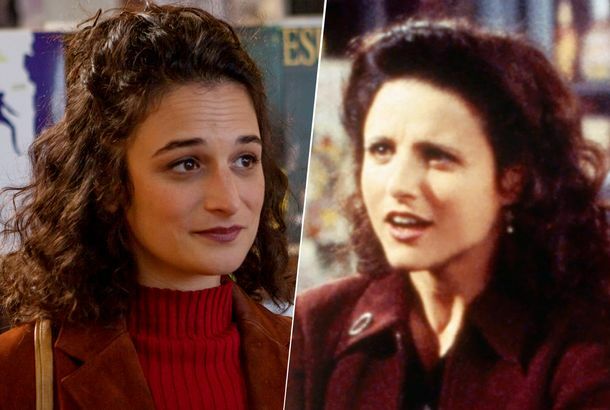 This ‘Seinfeld’ 9/11 Spec Script Is Insane and IncredibleImagine a pitch-perfect spec script for the classic sitcom ‘Seinfeld’… set in the days after 9/11. Topher Grace Makes Seinfeld Reunion VideoMadoff!!! Australia Has a George Costanza–Themed BarWill it serve Junior Mints? How Jerry Seinfeld Changed Modern Comedy With SeinfeldSeinfeld changed our relationship with comedians. All 169 Seinfeld Episodes, Ranked From Worst to BestThe series is now on Hulu for your viewing immersion. Sitcom Smackdown Semis: Seinfeld vs. SimpsonsWho will go against Cheers in the finals, Jerry or Homer? 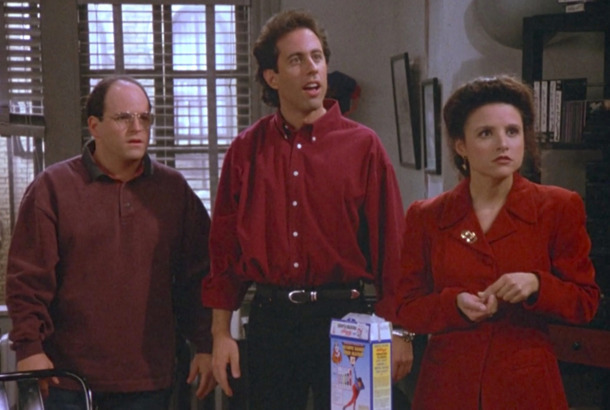 Behold the Greatest George Costanza Dress EverWe’re holding out for the Elaine jumpsuit. Read Modern SeinfeldLarry David, are you listening? Watch Another Episode of Game of Thrones–Meets-SeinfeldWhich one’s Newman? Watch Game of Thrones Meet Seinfeld in a Hilarious Mash-UpWell, they got Kramer right. See Breaking Bad’s Seinfeld-Like Spin-off, PinkmanWhat’s the deal with those scabby lasagnas? Watch ‘Nights in UltraViolet’Free Doug Slate! See a Pictorial Guide to Famous Dances in Pop CultureLet’s do the Time Warp again, but this time on your bathroom wall! Watch Kramer Be Startled by DubstepHe had no idea how much wub-wub was missing from his life. 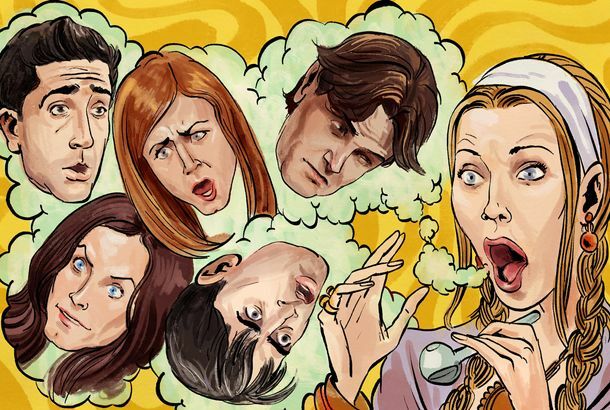 ABC Is Doing a Show About Nineties NostalgiaThey even have a ‘Seinfeld’ writer signed on. Watch George Costanza Make Good in the Reedited Human FundFrom the editing wizard behind George and Jerry the Great. The Six Kinds of Characters Who Wear Hawaiian ShirtsCool guys, druggies, mellow dudes, wild and crazy types, unfashionable fellas, and people on vacation. Watch Yo La Tengo Reenact a Seinfeld Episode Mid-ConcertWay to commit. Watch “Jerry the Great,” Another Re-Cut Seinfeld TrailerIn which Jerry plots to take over the world.